In the wonderful town in which I live mulberry trees are everywhere. As I walk my children to school in the morning we pass three mulberry trees that are in public areas which are free to pick. Outside of the school there some as well and children can often be found under it eating berries while they wait for their parents to pick them up. I spent an hour and picked berries from all the branches that I could reach, mental note: invest in a light weight step ladder for next year. 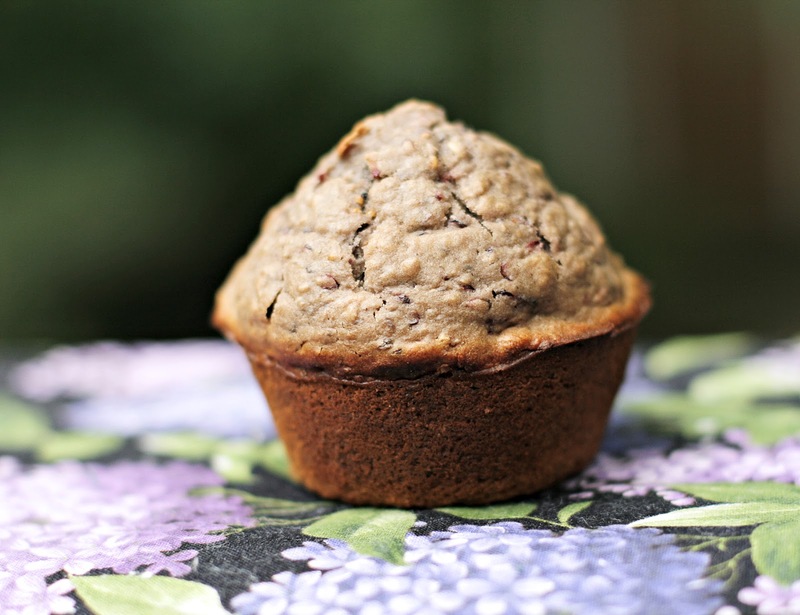 These muffins are low fat and full of goodness and not super sweet either. Preheat oven to 400 F. Mix all ingredients in your kitchen mixer until well blended. Spray muffin tin with cooking spray. Pour into muffin tin, almost to the top. Bake in oven for 20 minutes or until golden brown.